Drug testing offers a window into your potential employees responsibility. Using employee drug testing also acts as an effective deterrent for drug abusers, protecting your company from dangerous or untrustworthy employees. As an employer, it is your right to maintain a drug-free workplace. We offer the below drug test services that can be paired with criminal background checks. Use our simple online registration platform to order, maintain, and view drug test status and results. Candidates can select any of the nationwide Quest Diagnostics and LabCorp collections sites near you. Interested in drug testing services? Fill out this free consultation form and we'll get right back to you! Urine samples are the most common employee drug test and our employee drug test partner Abbott Laboratories offers several urinalysis options. Negative results are usually completed with 24-48 hours. To maintain compliance, a Medical Review Officer (MRO) service is included with all non-negative test results. To get started with drug testing services, select the option you are interested in when signing up for background check services. If you're interested in just employee drug testing services, fill out a consultation by clicking below and a drug testing expert will get back to you promptly with the best option for your company. After you have signed up, and once we have verified your company, simply request a urinalysis from the HireSafe portal and your candidate can select any of the nationwide collection sites near them. Select any of the nationwide Quest Diagnostics and LabCorp collections sites nearest your candidate via our online drug testing portal. Receive notifications when the specimen is collected, and receive results electronically. HireSafe offers the following drug screening packages for pre employment, post accident, and return to work drug testing. To get started with urinalysis employee drug testing, click the button below for a free consultation. One of our employee drug testing experts will review your needs and get back to you with the best drug testing package for your company! Saliva employee drug tests are the most convenient solution. They are also very difficult to fool and as accurate as urine onsite drug tests. 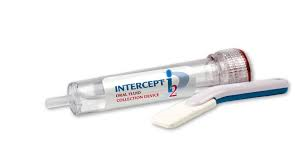 These test are administered with regulated saliva swab devices obtained directly from HireSafe. Employee saliva drug tests are approved for pre employment testing, random drug testing, post-accident, reasonable suspicion or return to duty testing. The lab based oral fluid test does not give instant results. The specimen is collected during the interview process with an oral swab, deposited in a receptacle that is shipped directly to the lab and tested by Clinical Reference Laboratory. CRF is a federally certified (SAMHSA) laboratory utilizing the latest in analytical instrumentation and technology. The convenience of onsite collection and the accuracy of the lab-based testing procedure make this format an excellent choice for remote locations. These testing devices are shipped in a case-pack of 10 units with a two-year shelf life. Pre-paid FedEx mailing envelopes are supplied. To get started with saliva employee drug testing, check out our background screening packages and when you sign up check the box indicating you're interested in employee drug testing! The Hair follicle drug test is perhaps one of our most accurate. 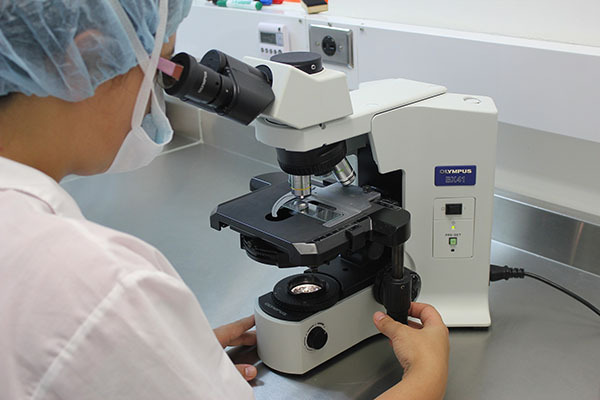 The test is serviced by a CAP and CLIA accredited laboratory. Simply clip a hair sample (80-120 strands with length 1-1 ½” and NOT from a hairbrush) and in 1-2 days (1 day negative result, 2 days positive result) we will provide you with the most accurate hair follicle drug test results. This test can show employee drug use history up to 90 days (approximately 30 days for each ½ inch of hair sample).